Born in Barcelona in 1931, Pomés, a self-taught photographer, had a highly successful and celebrated late career in advertising in his native Spain. 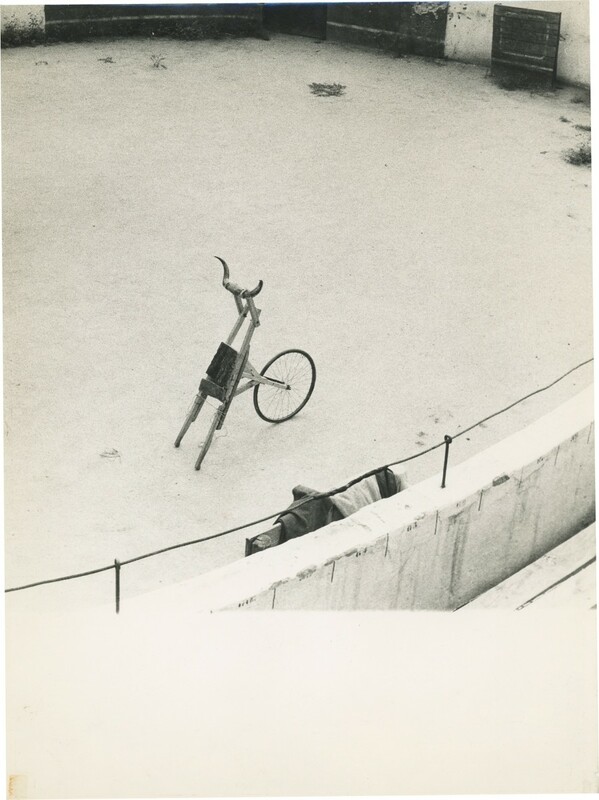 However, it is his evocative early photographs of Barcelona that formed the basis of the exhibition. Taken between 1947 and 1969 these vintage photographs of Barcelona show a city in flux. With humour Pomés captures the ancient and the modern existing side by side in post-war Barcelona: a horse and cart being overtaken by a motorcar (1947) , a knife sharpener oblivious to a risqué Sophia Loren poster, graffiti on a crumbling wall and a piano on the street waiting to be played during the fiera. Pomés’ intimate relationship with the fabric of Barcelona is evident in these images and he admits that he has never wanted tonor been driven to photograph any other city apart from his own. Using only natural light and shadow, these photographs reflect not only the people and buildings but also the rhythm of this fascinating Catalán city. As well as street photography, Pomés also made portraits of many of the important artists and writers living in Barcelona, in particular the Dau-al-Set. Founded in 1948, this avant-garde group of artists, including Tàpies, Joan Ponç, Modest Cuixart and the poet Carl Brossa had connections to the Surrealist and Dadaist movements. Its members were ten or fifteen years older than the Pomés but they received the young photographer as a friend and had great influence over his work. He also photographed the sculptors Moses Villèlia and Eduardo Chillida, the painter Antonio Saura. 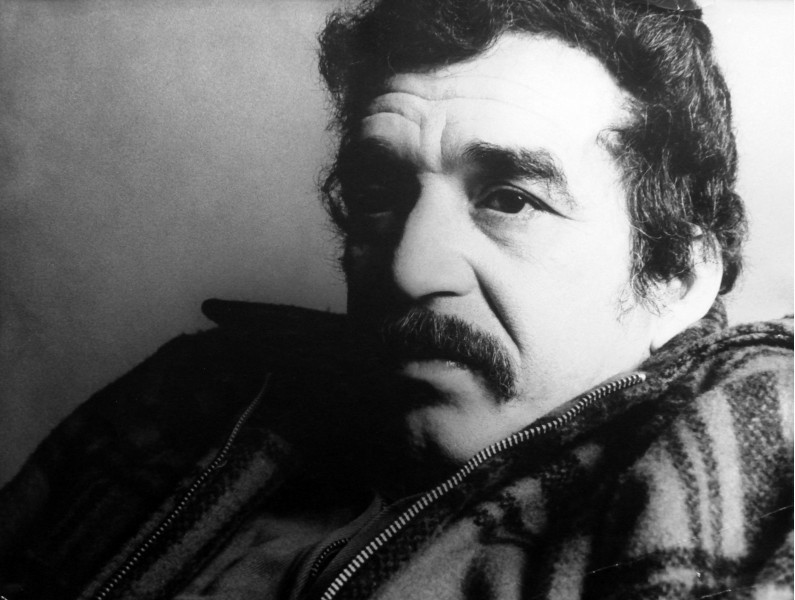 The world renound writer Gabriel Garcia Márquez was also captured by Pomés in 1967, the year that One Hundred Years of Solitude was published. The exhibition will include vintage photographs of bullfights taken in1958. This was Pomés first assignment as a photographer, a commission to illustrate a book about bullfighting with text written by Ernest Hemingway. 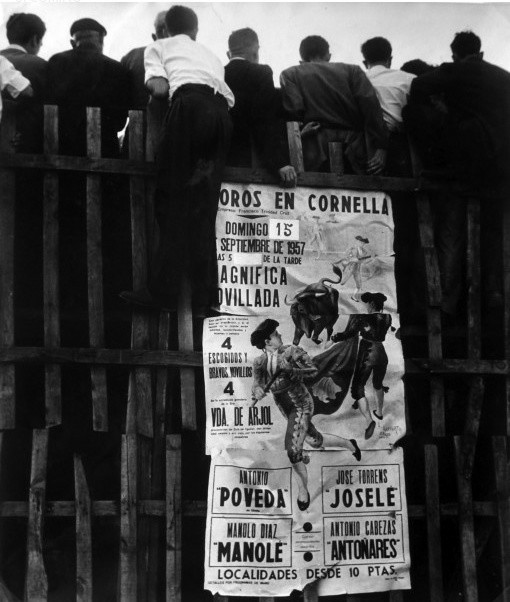 He was by no means an expert on bullfighting but these photographs clearly capture the fascination of the spectator, and as Pomés describes, ‘the dialogues of love and death established between matador and bull’. Neither condoning nor celebrating the sport they are a record of the detail and the drama of this traditional Spanish way of life. Hemingway liked the photographs that Pomés had made for him but died before the book was completed. The editor trusted no-one else to write the text and as a result these photographs remained hidden in Pomés’ drawers for nearly 40 years until now. Also on display will be a small selection of the studio work with which Pomés forged his respected commercial career. Pomés first exhibited in1955 when he was only 24, at Galerías Layetanas in Barcelona. He presented a series of controversial portraits and the work gained national exposure in AFAL magazine in 1961. Alongside Karin Leiz, he was a founding member of Studio Pomés, and began his career in advertising which lasted until 2006. During this career he received numerous awards including the Rizzoli Award for Photography, a Lion d’Or at the Venice Biennale and a Best Photography in Spanish Cinema Award for his motion picture Ensalada Baudelaire. He directed the opening ceremony for the World Cup in Barcelona (1962) and was later commissioned to create the campaign image for the Barcelona Olympic Games. His lifetime artistic achievements have been celebrated with the National Award of Fine Arts of the Generalitat de Catalunya (1997), the Golden Medal by the Barcelona City Council (1999) and the Creu de Sant Jordi (1999). His work has been published in numerous books and in 1997 a retrospective exhibition of his work was held at Palau de la Virreina in Barcelona and 2001 a further solo exhibition was held at Círculo de Bellas Artes in Madrid. His work is held in collections at Museu Ivam (Valencia), Musee Nacional d’Art de Catalunya (Barcelona) Fundación Ordóñez Falcón (Guipúzcoa) and number of important private Spanish collections.